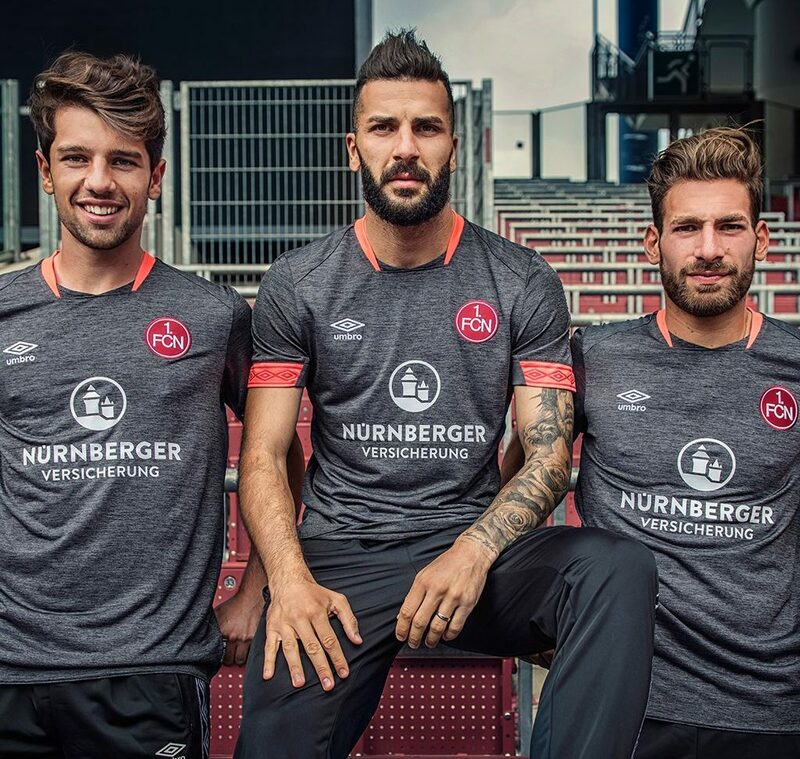 Completing their set just ahead of the start of the new Bundesliga season, FC Nuremberg and Umbro today launched the club’s brand-new third kit. 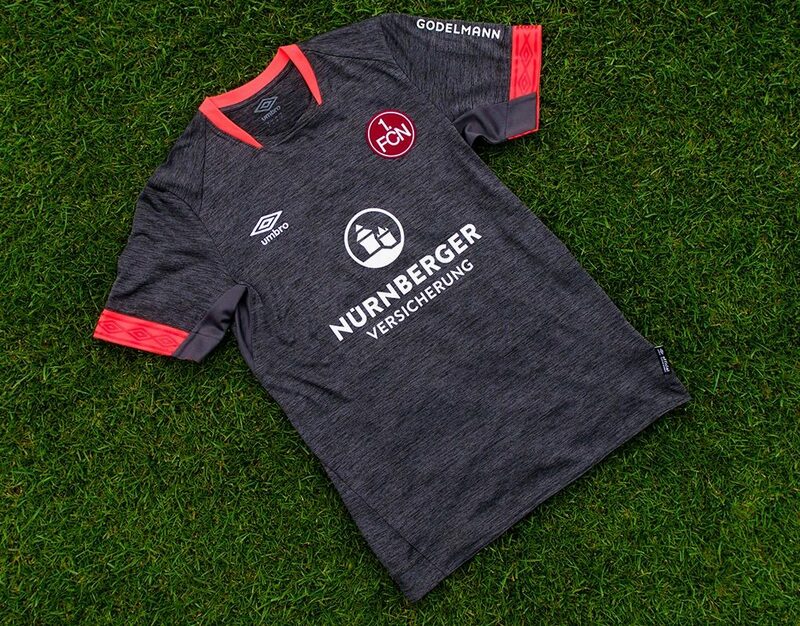 The new Nürnberg third jersey stands out with its marl effect fabric and offers a different approach from the two previously presented. It’s predominantly dark grey with striking orange accents on the neck and end of the sleeves. The sleeve cuffs additionally feature Umbro’s running diamonds pattern. “Der Club”, the club’s nick name, is printed on the upper back of the shirt, just below the collar.